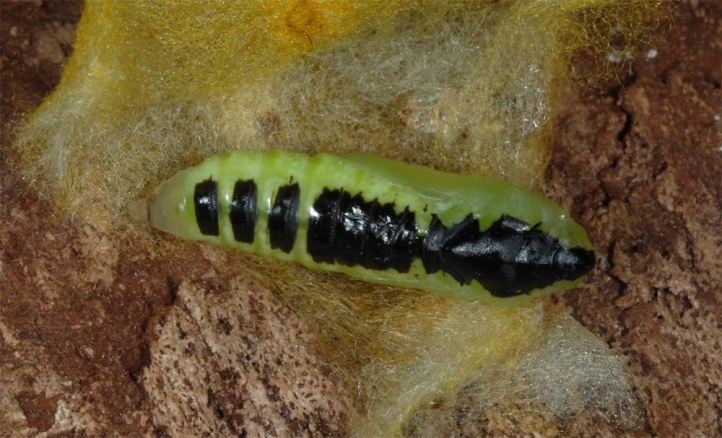 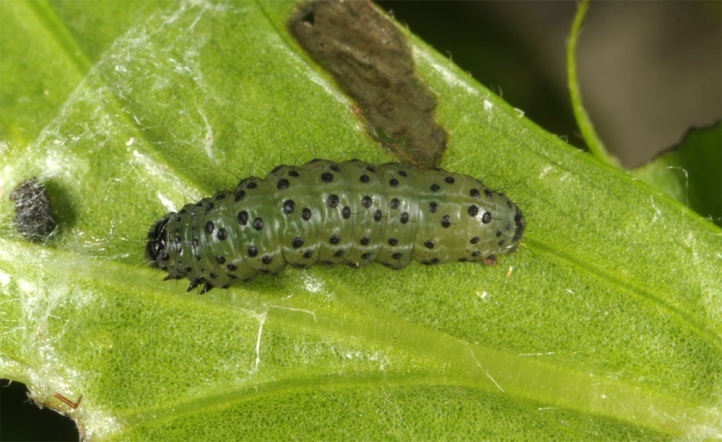 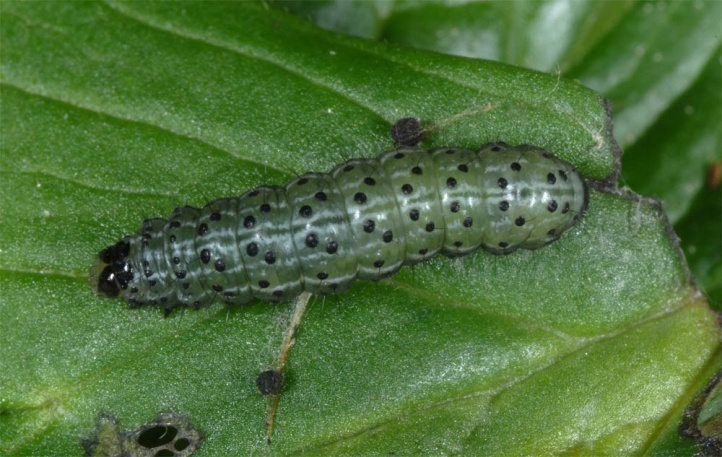 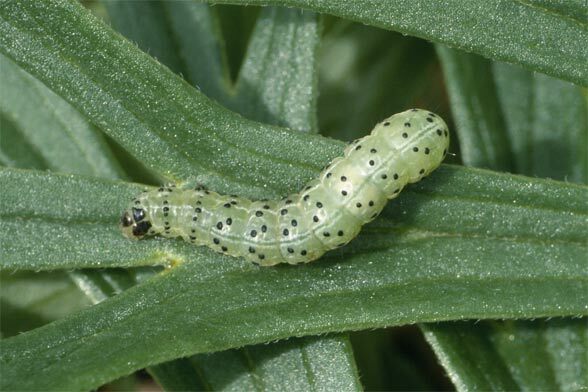 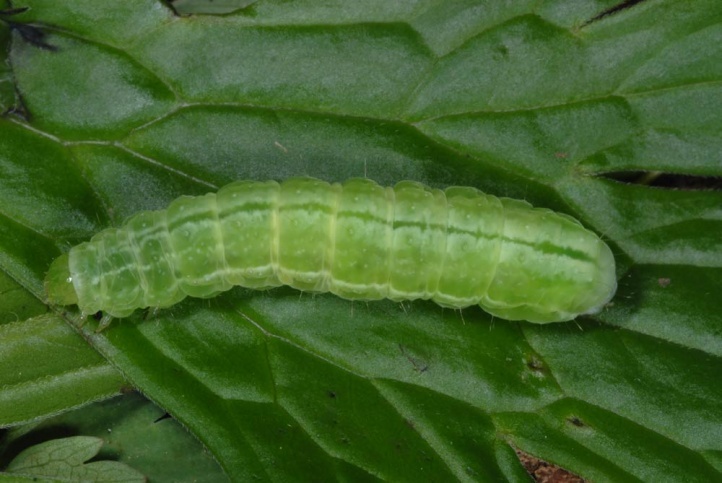 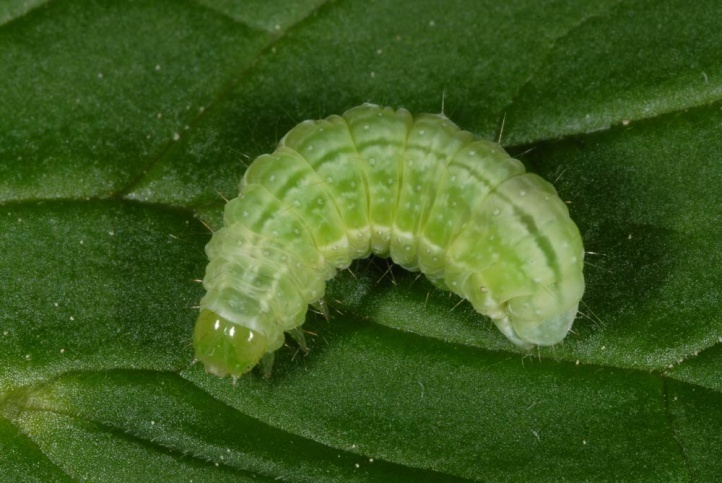 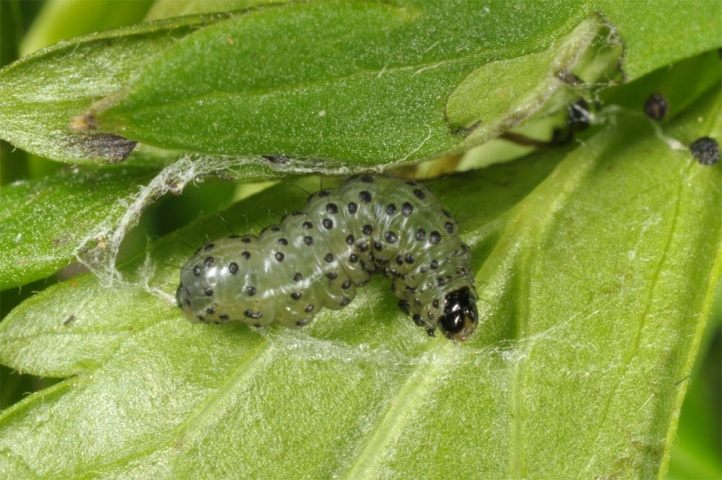 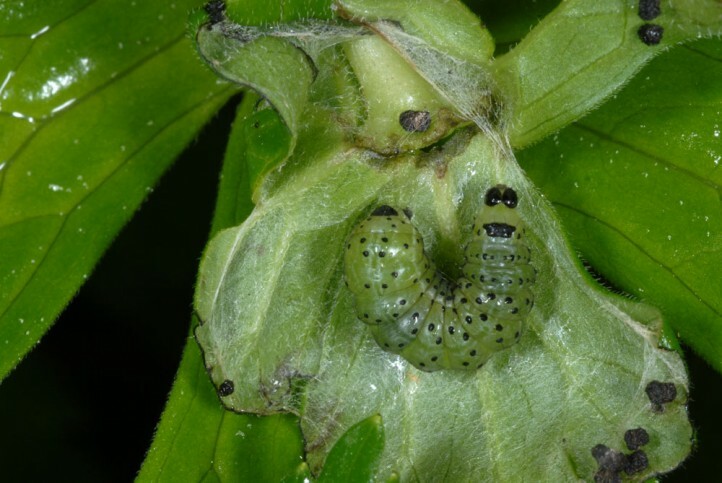 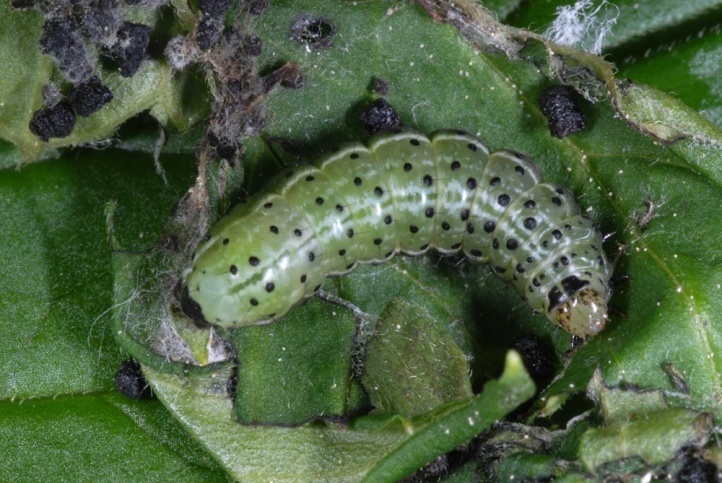 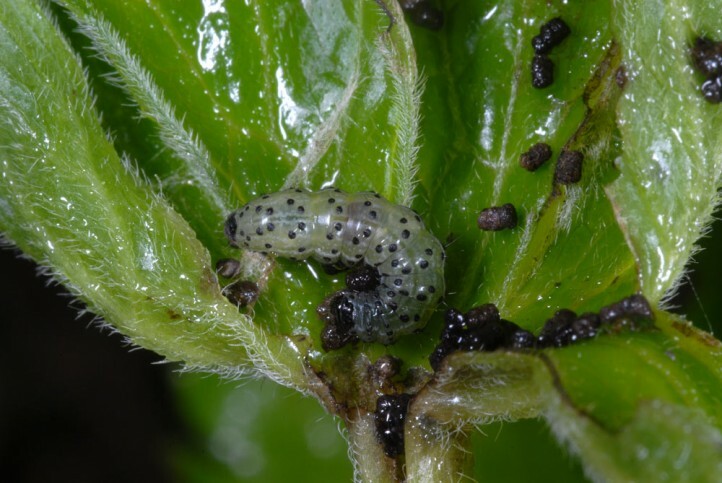 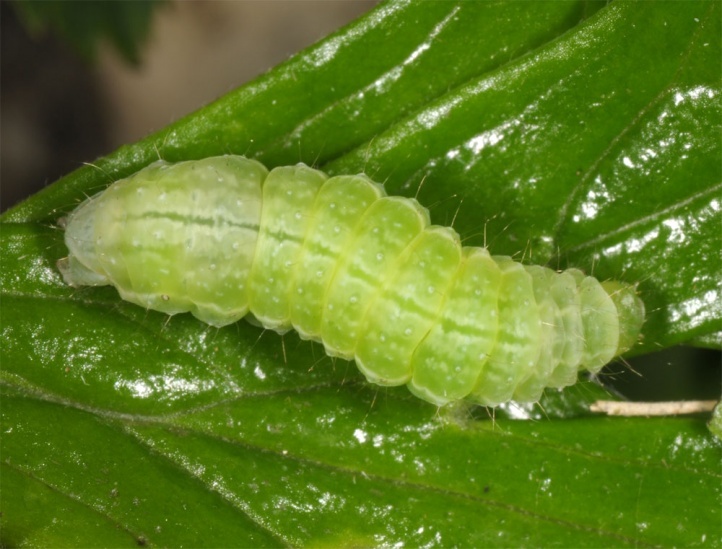 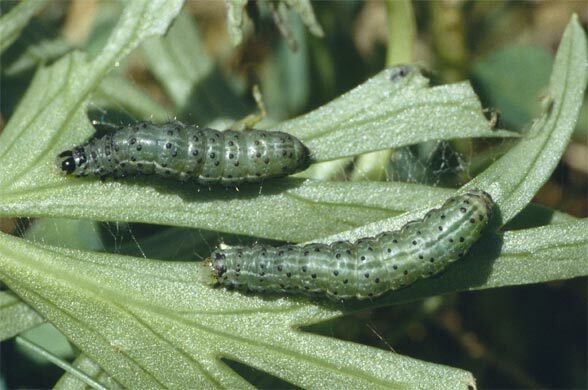 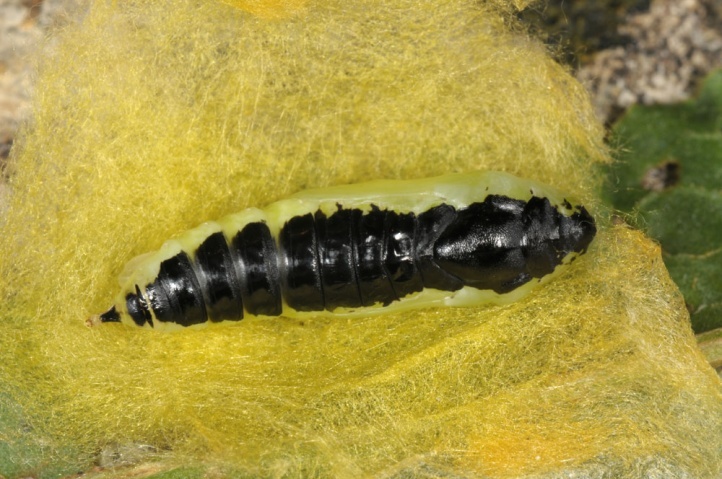 The larva feeds on Aconitum species, in contrast to Euchalcia variabilis both Aconitum vulparia and A. variegatus/A. 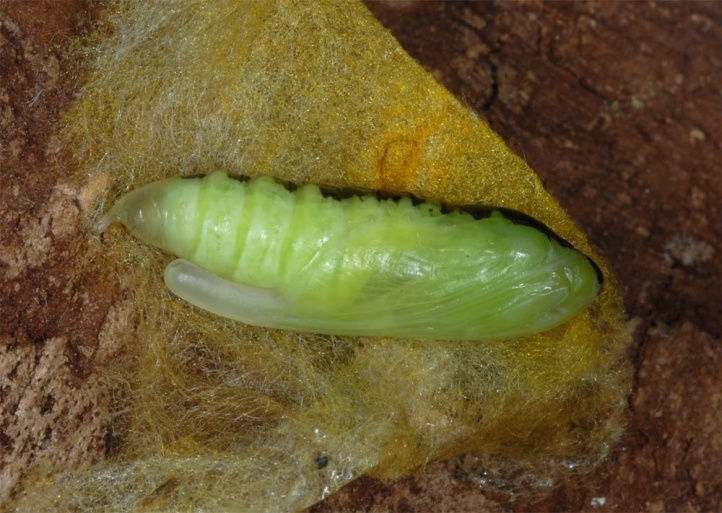 napellus. 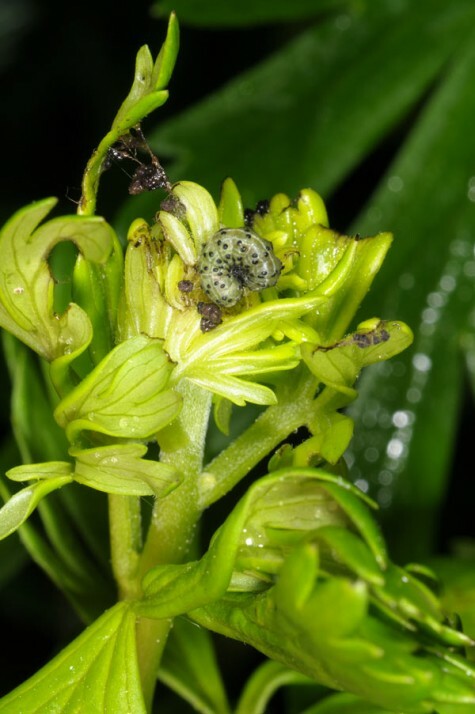 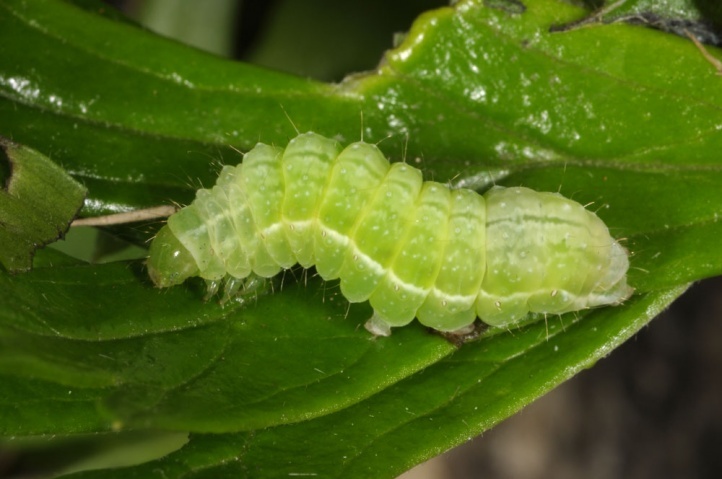 Polychrysia moneta inhabits riparian forests, ravine woodlands, alpine forb communities to over 2000m above sea level, gardens close to forests and other occurrences of the larval host plant. 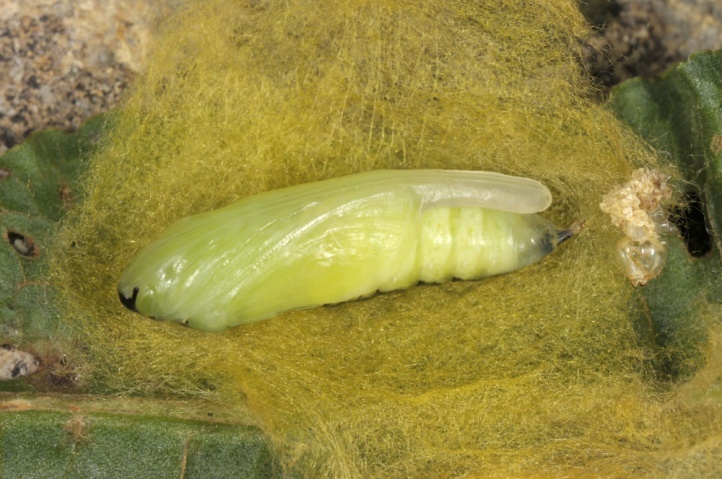 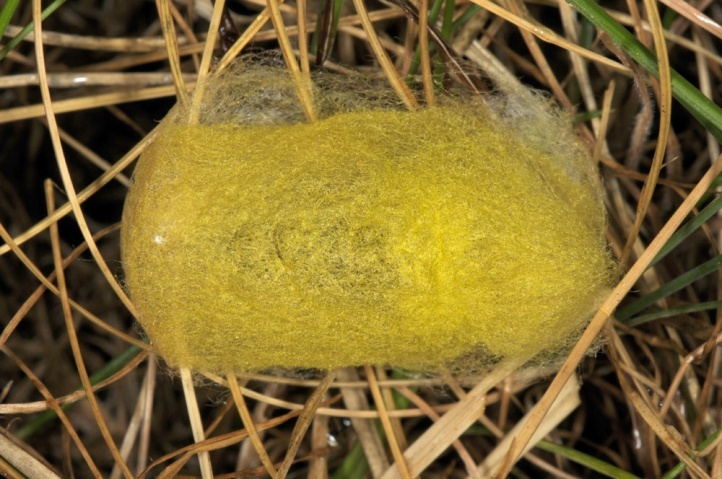 The L1-caterpillar overwinters, probably without having fed. 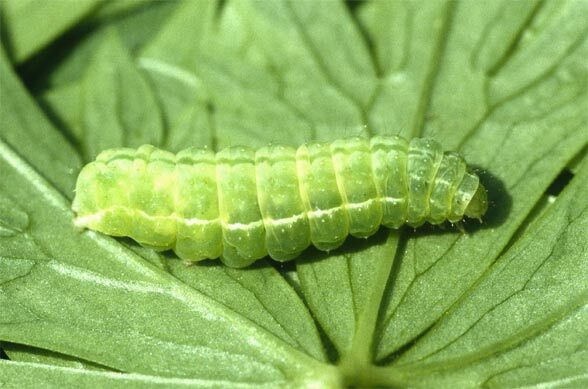 The caterpillar is usually found from late April or May to late June or July in the Alps. 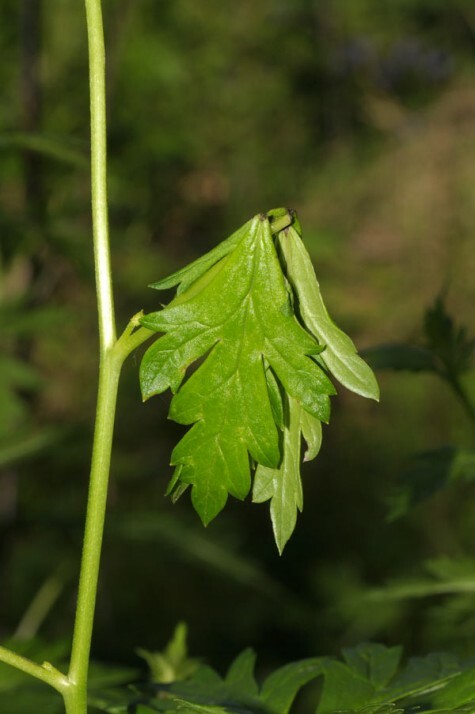 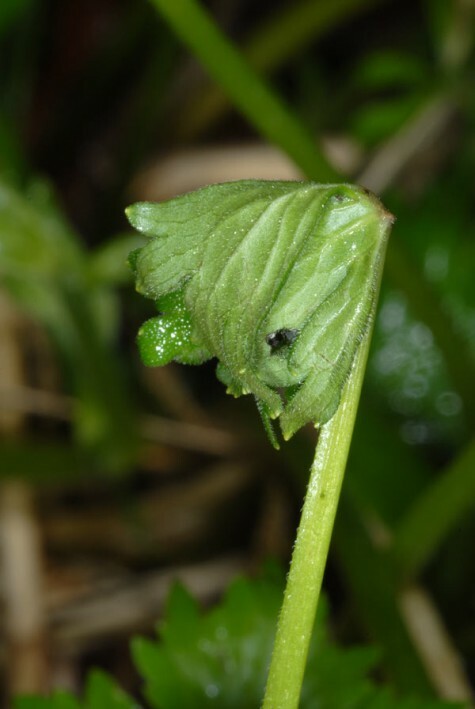 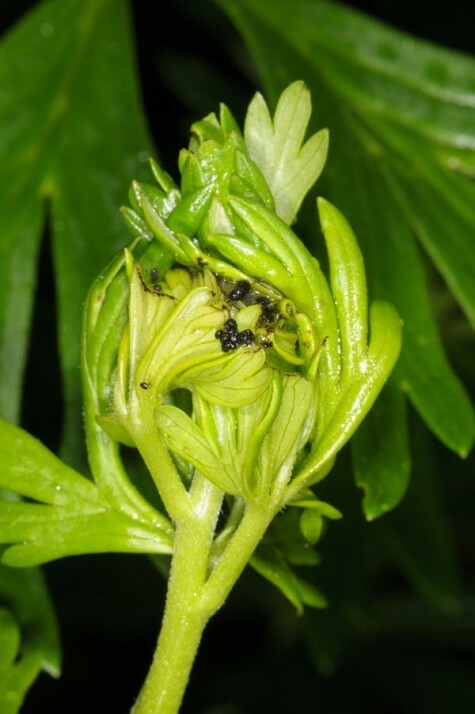 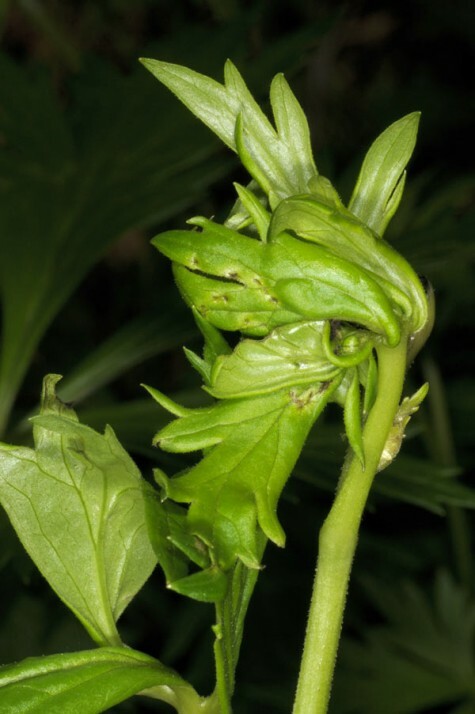 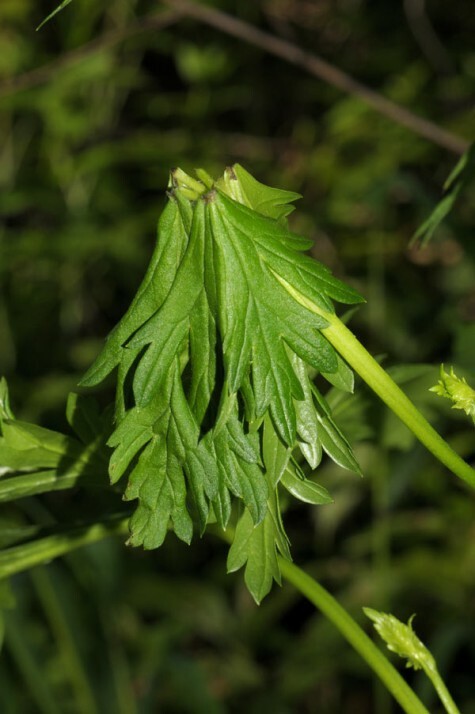 They are young mostly spun in the growing point of the Aconitum plant in some decimeter in height (observed in Aconitum napellus and A. variegatus). 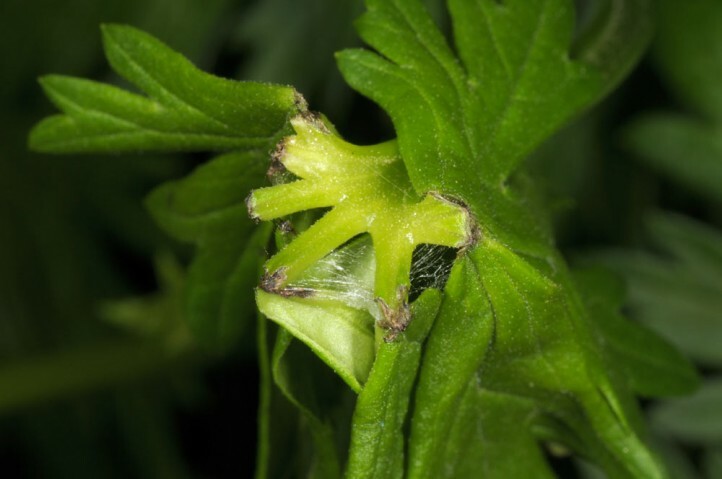 Even when fully-grown, the larvae web leaves together or make them wilt by biting through the stem. 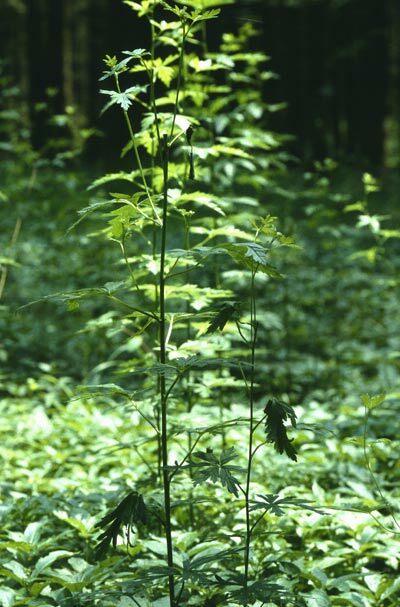 This probably has an influence on the chemical ingredients. 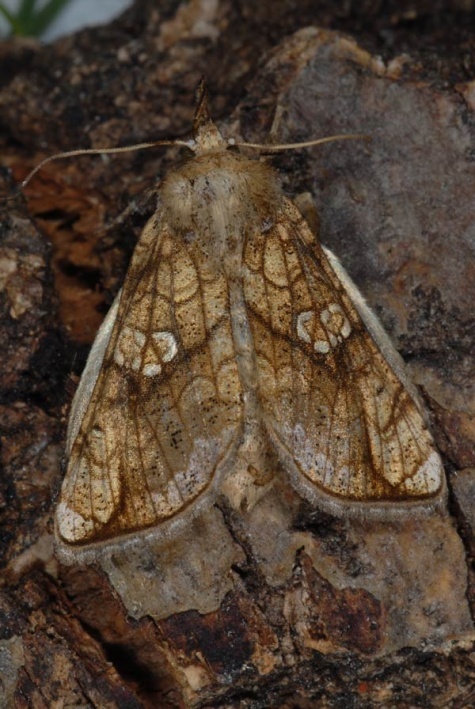 The moths fly in July and August, rarely already in late June or still in September. 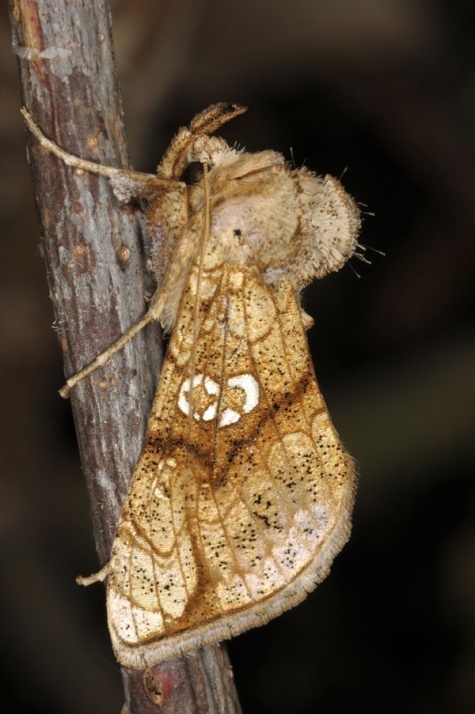 Polychrysia moneta is locally endangered through dark forest management. 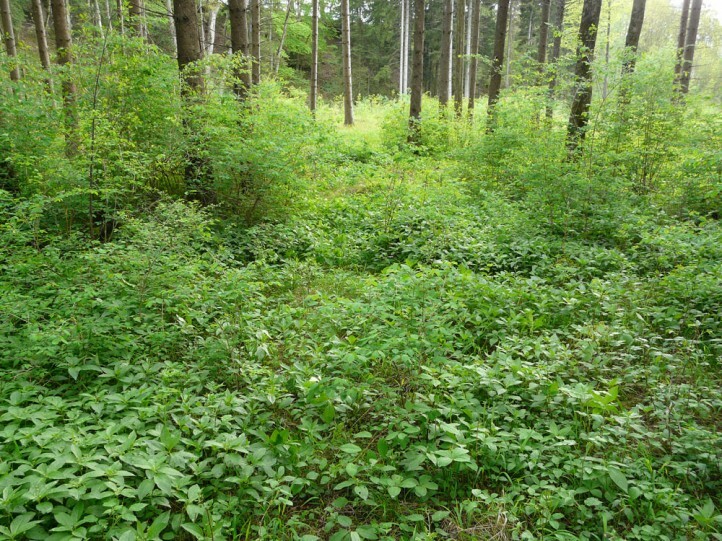 Spruce, but also artificially dense maple and beech plantations are ecologically not senseful in riparian or ravine forests, at least not outside of the higher mountains. 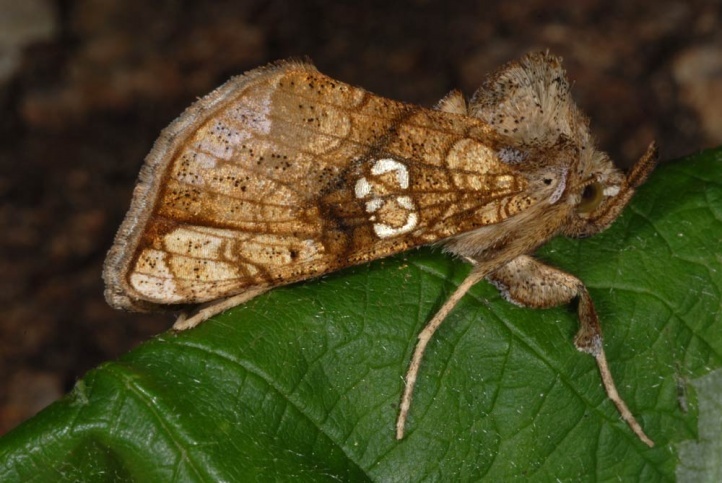 Polychrysia moneta occurs locally across Southern and Central Europe to east Asia.